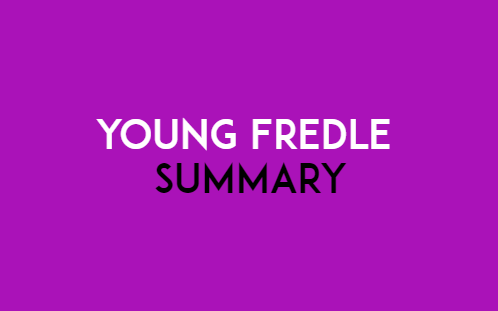 Summary of Young Fredle by Cynthia Voigt: This story about a mouse named Fredle who lives indoors of a house belonging to a husband, wife, baby, and pets. His family is all indoor mice and as indoor mice, they forage for food in the kitchen. One day Fredle and another Mouse eat a peppermint pattie and they both become ill. Because Fredle is sick his family kicks them out of the nest. Fortunately, Fredle is taken outside by the woman because Fredle has lived indoors his entire life. He is unfamiliar with even the simplest of outdoor things and concepts such as the Sun, Moon, and birds. The outdoor mice still Fredle, where he can get food and so Fredle, begins a life of an outdoor mouse. However, he gets taken away by a pack of raccoons. The raccoons plan on beating him but decide to feed him first. Fredle tries to escape but he realized that he has no sense of direction. Fredle escapes during a storm and finds his way back to the house. He enters the cellar and is greeted by the cellar mice. Mice who have plenty of food and hardly any predators. Fredle is scented to stay in the cellar but he wants to go home. He goes home and his family surprised to see him. In the end, he takes some of the indoor mice outside to live. One of the most interesting insights that the story offers is how the same species of animals view others differently based on where they live. In the story, there are three categories of mice. Indoor outdoor and cellar and while these mice are genetically similar because of their living conditions and access to food and predators. They themselves view each other in separate groups. More importantly, these categorical mice come to parallel different social groups in our world today. The indoor mics are the middle class who struggle to make it by each day. The outdoor mice are the lower class who work in literal or figurative fields. And the cellar mice are the upper class who live comfortably with access to an endless supply of food with little work. What's great about this dichotomy in the story is that it portrays how all mice treat others mice despite a separation of social class. Part of being an indoor mouse for Fredle is that he has never seen the moon over stars. These symbols not just signify night but represent experiences and sights that are absent from one's life. There is a moment when Fredle is questioning whether or not he should stay in the cellar and enjoy the luxuries of food and hardly any predators. He had just travel presumably miles in the wild to get back to the house and it would be perfectly reasonable for him to in a sense reward himself by living comfortably for the rest of his life. 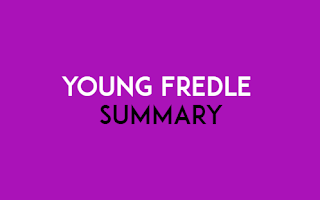 However, Fredle ultimately refused and instead wants to live with his family in the kitchen but why after all it was his family that threw him out. It's because Fredle loves his family and for the majority of the story, readers see that all that he wants is to return home.